Moniru Ravanipur is an Iranian writer in exile, who has been a resident writer at City of Asylum Las Vegas as well as a Fellow at the International Writers Project at Brown University. She is an outspoken activist on behalf of Iranian women and the author of a dozen books including Ahl-e Ghargh (The Drowned), Del-e Fulad (Heart of Steel), and Kowli Kenar-e Atash (Gypsy by Fire). She was among 17 activists to face trial in Iran for their participation in the 2000 Berlin Conference, for which they were accused of taking part in anti-Iran propaganda. 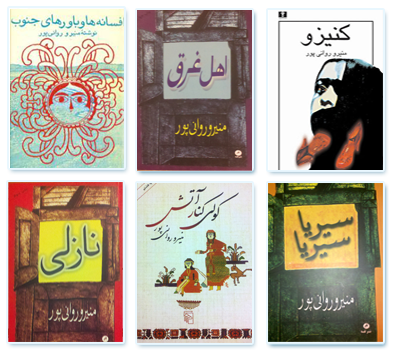 Copies of her books were recently stripped from bookstore shelves in Iran in a countrywide police action. Moniru's visit to City of Asylum is a cooperative project with The Ellis School. Click the link below to RSVP and for more info.